Montenegro, known as ‘The Jewel of the Adriatic’ has become one of the most friendly places for business in Europe. It is now a decade ago since the semi-autonomous region of Montenegro, declared its independence and went on to become a sovereign state. Much of Montenegro’s allure comes from its shining mix of colors: aquamarine waters, green pine-forested mountains, blazing blue skies and white pebble beaches. Sveti Stefan near the town of Budva in Montenegro. Image courtesy of Travel the World, Wiki Commons. Porto Montenegro – sometimes called the Monte Carlo of the Adriatic – has upgraded this tiny Balkan state from a favorite destination of average Russian and Serbian tourists to a mecca for some of the world’s wealthiest people. However, Montenegro has also attracted a lot of attention for another reason: it is one of the easiest places to do business in Europe. Starting a company in Montenegro takes a little more than a week and requires no paid-up capital. To form a Montenegro corporation, you must follow six procedures, most of which are simple. The only documents you have to submit to the government are the articles of incorporation, corporate statutes, and list of directors. There is no such thing as anonymous ownership of a company in Montenegro, as you have to disclose your name, any former names, and your citizenship. However, if you’re looking for a solid company to do regional business, Montenegro is hard to beat. Being a director of company could even qualify you for Montenegrin residency with a little bit of cash. There are several other steps to form a company here, but the total cost to be paid locally in Montenegro is one of the most affordable set ups for a corporation. Montenegro offers global entrepreneurs a low-tax haven where they can pay a little tax and gain access to a network of treaties. While countries like Monaco have become less attractive as holding vehicles for patents or royalties, a Montenegrin corporation is suitable for a number of business activities. In addition, Montenegro has some of the lowest tax rates in Europe and even the world. Corporate taxes in Montenegro are a flat 9%. While royalties and capital gains are also subject to the 9% rate, there are no surtaxes or minimum taxes for companies doing business in Montenegro. There are also no stamp duties, although real property is subject to a 3% tax payable by the buyer at transfer. Resident individuals in the country pay a maximum 15% tax on salary earnings (9% to about $1,000 per month, 15% on the balance). Montenegro also offers relief from taxes on foreign source income under an extensive network of tax treaties, although the United Kingdom and most countries in Europe dominate the list, along with China, Korea, India, and Malaysia, and some African countries. The United States, Canada, and Australia are not on the list. Montenegro Airlines flies to the capital of Podgorica and to the Adriatic Sea airport of Tivat from European cities including Paris, Rome, Budapest, Zurich, Moscow, Frankfurt, Istanbul and Ljubljana. JAT Airways, the Serbian national airline, flies to Belgrade from most European capitals, and has several flights a day from Belgrade to Podgorica and Tivat. A return ticket for a 45-minute flight from Belgrade costs USD 125. Contact us if you want to set up a Montenegro company. Macau is a former Portuguese colony and was administered by Portugal from the mid-16th century until late 1999 when it was ceded to China. Macau became the second Special Administrative Region after Hong Kong. In 2002, the government of Macau enacted a law from 2001 which legalized gambling, and offline casinos opened up. 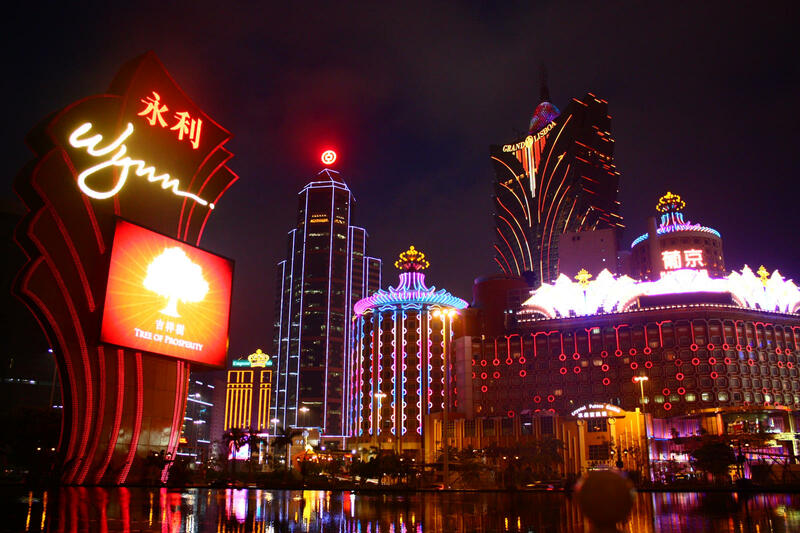 Macau’s Internet gambling sector was regulated in 2003. Today, Macau is the gambling center of Asia. Its offshore financial sector is growing but still is nowhere near the size of Hong Kong. Macau by night courtesy of Inamoka, Wiki Commons. Macau has many different types of corporate structures available, allowing for a wide range of liability. Macau companies are exempt from tax on the first 200,000 MOP (Macau pataca), or roughly $25,000 USD, and the next 100,000 MOP is taxed at 9%. Remaining income is taxed at 12%. Unlike Hong Kong, there’s no territorial taxation system in Macau. Worldwide income may be subject to tax. However, under the Offshore Regime of Macau, companies can be fully tax exempt if they do not operate in MOP currency, do not target Macanese persons, and do not focus on other Macanese companies. Unlike Hong Kong, where you pay tax depending on the source of income, Macau has taken a different approach of either full tax exemption or full tax liability. There is no sales tax (VAT) in Macau. The Offshore Regime creates two types of offshore operations: Offshore Commercial Service Companies and Offshore Auxiliary Services Companies. Both are designated International Business Companies (IBC), but are significantly different from the IBC legislation of Belize, Seychelles, and so on. The differences between Offshore Commercial Service Companies and Offshore Auxiliary Services Companies lie within their scope of operations. While auxiliary services companies can only perform duties for holding or parent companies, commercial service companies are free to conduct business with anyone. Auxiliary companies pay a lower annual fee—between 4,000 and 10,000 MOP less per year. All companies in Macau—even those registered under the Offshore Regime—must prepare and file financials. The costs of forming a regular or offshore company in Macau are higher than in Hong Kong, but not by much. Residents are liable for income tax on salary from employment with Macanese companies or salaries paid into Macau, which means that if you work remotely for a foreign company, you pay no tax. This can be used to live and work tax-free in Macau. There is no capital gains tax, capital duty, capital acquisitions tax, inheritance tax, wealth, or sales tax. The financial services industry on Curaçao was started by the Dutch during the 1940’s when Dutch corporations moved their assets to the region to escape the Nazis. After the war many of the companies returned their head quarter back to the Netherlands but left behind the infrastructure of an offshore center. The infrastructure includes 70 banks, more than 50 of them international, as well as asset management, trust and insurance companies. The worlds major global audit and law firms are also established on the island. 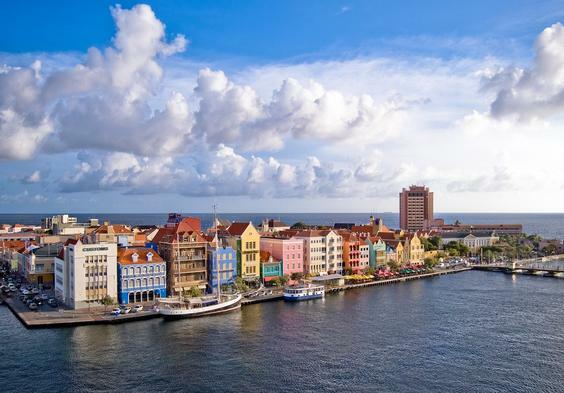 The Caribbean island of Curaçao realized that competition for business is stiff. So they had to keep the tax rate extremely low and attractive and add value to business. Being a tax free jurisdiction almost guarantees that you’ll end up on some OECD or IRS blacklist. So the tax rate on corporate profits was set to 2% only, something that wouldn’t qualify them as a tax haven, but would be low enough to attract entrepreneurs. In addition, Curaçao also looked at ways it could actually provide value to 21st century businesses. The Internet businesses they hoped to attract all need bandwidth. So Curaçao invested in fiber to the point that its data centers now have among the fastest, most highly connected data centers in the region. So instead of just being a Curaçao company in name only, businesses can actually host their servers here as well. This helps any Internet business justify why the company is based in Curaçao. – Not being listed as a tax haven. – Offering robust local services incl. state of the art internet which support the business. The Kingdom of the Netherlands is a member of the European Union. However, Curaçao, Aruba and Sint Maarten all have the status of Dutch overseas countries and territories and are not part of the EU. The Isle of Man has become the first British dependent territory to sign an agreement with the United Kingdom extending the automatic disclosure of tax information. The intergovernmental agreement was signed in London on October 10 by Chief Minister Allan Bell and HM Treasury Exchequer Secretary David Gauke. It is modeled on the requirements of the Foreign Account Tax Compliance Act (FATCA) introduced by the United States to ensure the tax compliance of its citizens with international interests. On the current timetable for implementation of the new agreement, the two Governments have agreed to start exchanging additional information from 2016. 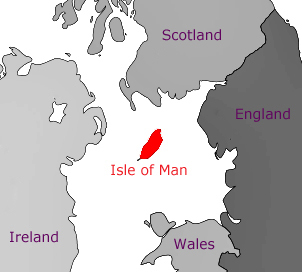 The Isle of Man already shares information automatically on personal savings income with the UK and other European Union countries, having been the first non-EU jurisdiction to make a public commitment to this under the EU Savings Directive in June 2009. The Island was also the first to commit, in December last year, to the FATCA-style agreement with the UK extending the scope of automatic disclosure to include, for example, companies and trusts. The Chief Minister said: “In signing this historic agreement with the United Kingdom we are underlining the message to our neighbors and the wider world that our Island is a responsible center for top quality international business. The Stock Exchange of Hong Kong, a wholly-owned subsidiary of Hong Kong Exchanges and Clearing Limited (HKEx), has published 20 country guides, one for each overseas jurisdiction that has been formally ruled to be acceptable as an issuer’s place of incorporation. The country guide for each acceptable jurisdiction sets out, for example, comprehensive and user friendly guidance on how companies incorporated in the relevant jurisdiction can meet the requirement for equivalent shareholder protection standards in the HKEx’s Listing Rules. Hong Kong Skyline. Picture courtesy of Base64, Wiki Commons. “These country guides are aimed to enhance applicants’ understanding of the Exchange’s expectations, practices, procedures and considerations when applying the Listing Rules to overseas issuers,” said HKEx’s Chief Regulatory Officer and Head of Listing David Graham. “The country guides provide guidance on how the Exchange will consider certain matters under the revised JPS. Where appropriate, we have also added our views and analysis based on the experience we have gained from various applications,” he continued. The Exchange will in the future update a country guide when it is informed of a material change in the laws, rules or regulations in the relevant acceptable jurisdiction. New applicants and listed companies incorporated in an acceptable jurisdiction are obliged at the earliest opportunity to inform the Exchange of such material changes. The 20 jurisdictions are Australia, Brazil, British Virgin Islands, Canada (Alberta), Canada (British Columbia), Cyprus, France, Germany, Guernsey, Isle of Man, Italy, Japan, Jersey, South Korea, Labuan, Luxembourg, Singapore, England and Wales, and the United States, both California) and Delaware. A country guide for Canada (Ontario) will only be published at a later date, as appropriate, when another applicant incorporated in Ontario applies for a listing on the Exchange.